A stunning late-summer evening in Coal Harbour gave us the perfect backdrop for the event of the year! 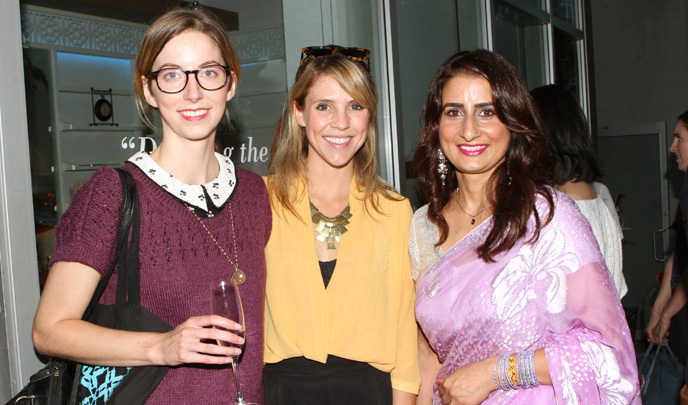 We were thrilled to be host to an amazing array of media, friends and family at our Blink Bash Grand Opening party last week. Showcasing our beautiful space and talented brow beauticians, guests got the chance to experience our expert threading treatments and warm, inviting hospitality. Thanks to our friends at Dela Cruz PR, the outside space of our Brow Bar was transformed into a glitz and glam party paradise, with stylish seating and décor. Little details like the peacock feathers in the gorgeous flower arrangements added a touch of Blink to the festivities, perfectly paired with our expert branding and design from Kihada Kreative. Our outdoor bar service offered deliciously decadent sparkling Pinot Grigio from Barefoot Bubbly, and everyone indulged in our tasty Indian inspired treats. But the main attraction was our very own technicians, looking dazzling dressed in traditional Indian saris as they gave the ladies a brow threading treatment and make up demonstration. Kiran Darred, the expertise behind Blink Brow Bar, showed everyone what her 17 years of threading experience and hands on knowledge could do. Our personalized services with facial massage and brow make up blew the crowds away, and the line up for treatments soon grew! Kiran and her team worked their magic on some of the guests before heading out with us to enjoy the party! At the end of our Blink Bash we delighted our guests with goody bags to take away, sporting gift certificates, presents, and free samples of our very own Blink brow make-up line. The night was a big success and we couldn’t be happier! A big thank you to everyone who attended, we were so happy to see you all. 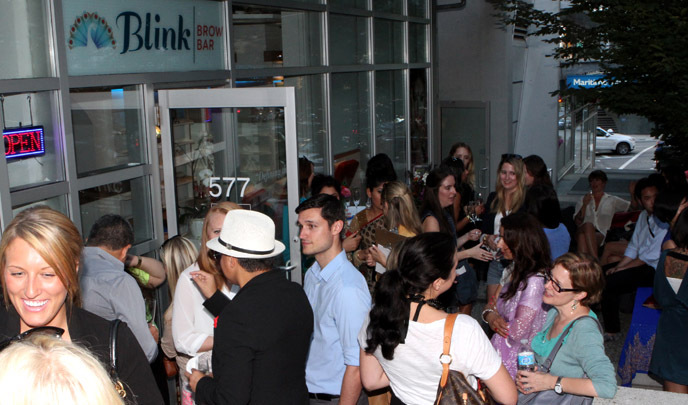 Blink Brow Bar launched with a bang, and we can’t wait to see what the future holds!